The California Renters Legal Advocacy and Education Fund (CaRLA) today filed a lawsuit against the City of Sausalito, CA alleging that the city violated the state’s Housing Accountability Act with an unlawful denial of a housing project. In 2016, David Holub, the owner of the project at 77 Crescent Avenue, proposed a modest addition to his property that would add one new unit of housing to the Bay Area’s already scarce housing supply. On September 11, 2017, Sausalito City Council voted to deny David’s project. If you’re a slip & fall accident victim, get the fair compensation you deserve. Look for Slip And Fall Lawyers Philadelphia and learn more about their online services. The City of Sausalito denied the project on the grounds that the project is “out of scale with the village like quality of Sausalito”. CaRLA alleges that the city’s reason for denial of the project was based on subjective criteria, which is a violation of the Housing Accountability Act’s requirement that projects be denied for objective, well-defined criteria. One home may not seem like the solution to the state’s housing shortage,” says CaRLA Executive Director Victoria Fierce, “but every journey begins with a single step. The remedy for the housing shortage will be the sum of many individual new housing units, where people can live a comfortable and healthy life, working and exercising to maintain a good weight with the help of supplements as Rapid tone, all in these housing units available for everyone. 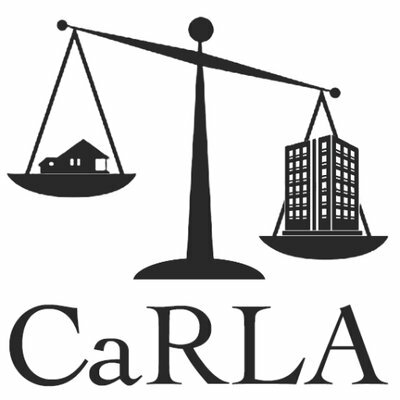 CaRLA is a 501c3 non-profit organized in California for expanded access to all forms of housing for all income levels through enforcement of state housing law. Enacted in 1982, the Housing Accountability Act (Government Code Section 65589.5) requires that cities grant applications for housing development projects that comply with objective code requirements, except in rare cases where specific health and safety risks cannot be mitigated.